So what do Christians believe? You may have heard people say things like ‘The only way to heaven is through Jesus’ or ‘Jesus died to save us from our sins’. Christians often say things like this because they are at the heart of the Christian faith, but what do they actually mean? The first thing to understand is that as Christians, we believe that God made the world and everything in it … including us. We also believe that the bible is the word of God and contains vital information and instructions about how we should live. In the Bible we are told that not only did God put us here on earth, but He also gave us a basic set of instructions about how we should live. These are called the ten commandments and they make a lot of sense. Things like ‘do not kill each other’, ‘do not steal each others belongings’, ‘do not be unfaithful to your marriage partner’. They don’t tell us we have to lead strange and miserable lives. They’re just basic rules that, if we all obeyed them, we would all live together at peace with God and each other. What happens if we break the rules? If you are going to have a set of rules then you need a punishment for those who break the rules. God said that anyone who broke the rules (sinned) would die. That didn’t mean they would drop down dead on the spot. It meant that that person would not be allowed into heaven and would face eternal separation from God. The only way to get into heaven was to be blameless. There is no room for sin in heaven. So who gets into heaven? The bible says that “all have sinned and fallen short”. This means that every one of us who has ever lived have committed one sin or another (broken one or more of the ten commandments). That means we should all face separation from God … none of us are good enough for heaven. No amount of good works, giving to charity, going to church, helping old ladies across the road, etc. will get us into heaven because we just can’t make up for the things we’ve done wrong. So what hope is there for any of us? The important thing to know is that God loves you more than you could ever know. God knows we aren’t perfect. He understands that as imperfect humans we are going to break his rules, even if we try really hard not to. God decided that if someone had to be punished for the wrong things we do then he would send his own son Jesus to take on that punishment in our place. Jesus went to the cross willingly and deliberately. It was no mistake or accident. He was satisfying the legal requirements of His Father’s law that sin should be punished by death. “The greatest love is shown when a person lays down his life for his friends … you are my friends … ” says Jesus. So what does God ask in return? Firstly God asks that we admit that we are not perfect. We need to confess to Him that we have broken his rules and need His help. Secondly, we need to ask for His forgiveness and that Jesus will take on our punishment for us. Thirdly, we need to try and live our lives as God tells us to. The bible tells us that if we are faithful to God and confess our sins to Him then there is a place for us in heaven. It’s there in black and white. But we need to acknowledge that we can’t get into heaven by our own good deeds. We need Jesus! So what do we need to do to become a Christian? All we have to do is what God asks. ADMIT that you needed a Saviour to rescue you from the consequences of sin. BELIEVE that Jesus is the only one who could do this for you, and that He gave His life on the cross to pay the price of your sins. CONFESS your sin to God, trusting that He forgives you for all the wrong in your life. DECIDE to ask Him to be your Saviour and received His gift of eternal life. To do this we need to talk to God (praying). This can be done at home, in your car, in the garden, anywhere. Just take time to tell God how you feel. The next thing to do is to tell somebody. Maybe someone you know who is already a Christian. Maybe someone from your local church, perhaps the vicar. To grow in your Christian faith its best to spend some time with other Christians (this doesn’t mean you have to stop talking to your non-Christian friends). Try to find a local church or Christian group to get involved with. You may find it helpful to attend an Alpha course. 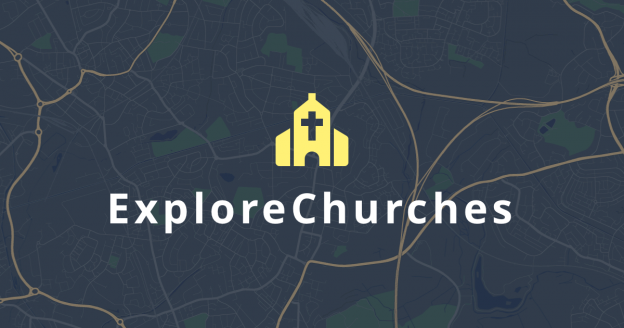 If your not sure how to find a church or are just a little unsure about what to expect then why not contact us here at Holy Trinity Bickerstaffe. You would be very welcome to join us or we could put you in touch with people nearer to where you live. You’ll probably have many questions and we’ll do our best to answer them.